Design Inc provide creative services to a large range of clients across the wide spectrum of business sectors. From Aviation to Zoology, you could say. So, it was nice recently to add Rugby into our portfolio. 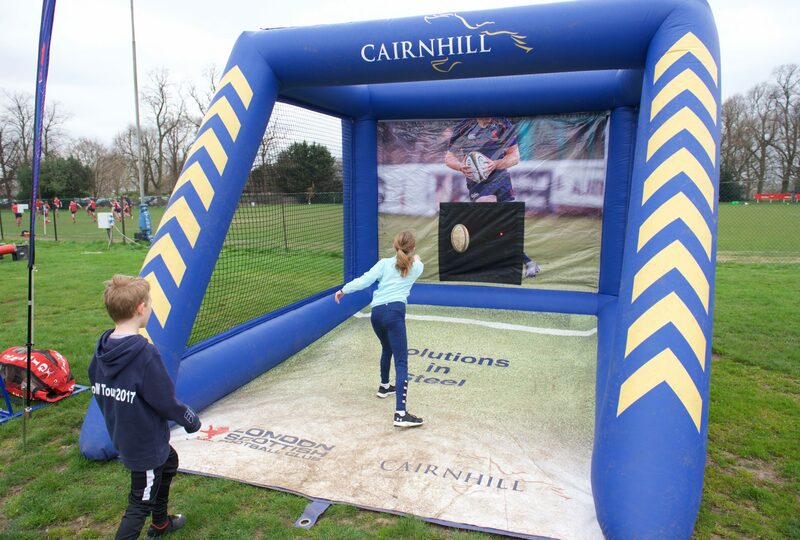 As part of their long-term sponsorship of London Scottish Rugby Club, our client, Cairnhill Structures (specialist steel fabricators) approached us for help in the design & creation of a mobile ‘passing cage’, to be used to help schoolchildren practice the speed and accuracy of their passing. Working closely with the manufacturers, we introduced a simplistic, corporate and engaging design with a number of different detachable backdrops (to be for speed, accuracy, skill, etc). Complementing the client’s own brand strapline of Power. Precision. Performance, this passing cage is already a big success with a number of schools in the region. Whether your design requirement is for print, web, media, exhibitions…or for inflatable passing cages, we can help. Call us now on 01784 410380.